Tag Tuesday: The Hair Tag! Another week and another tag and this weeks tag is all about hair! I tag everyone who reads this to take the tag themselves over on their blog! When I started my Hairdressing course back in 2006 and I’d just turned 16. I found it very interesting to learn more about hair and all the different hair types and the products that work and don’t work for the hair types. 2. What are your 2 favourite hair products? At the moment, it’s the Garnier Ultimate Blends coconut oil and Tresemme smoothing serum! 3. Whose hair did you admire as a child? Urm I don’t think I admired anyone’s hair when I was child as I was more interested in being with friends etc. but when I was a teenager I used to love looking through celeb mags and drooling over their luscious locks! 5. How are you going to celebrate when you reach your ultimate goal length? I don’t think I’d celebrate it to be honest. Do other people celebrate their hair?! Casual beach curls, I love that look on longer hair and probably a few up dos I just can’t do with my current length of hair! I’ve had length before but my hair was in terrible condition so I’d definitely say health now! 8. Which do you prefer: hair ties with no metal parts or butterfly clips? I have been using butterfly clips a lot recently to work but when I go to the gym I use my invisibobble! 9. What products do you prefer: salon brands, organic brands, BSS brands, Drugstore brands, or other? I do normally go for drugstore brands but that’s purely because I can easily access them when I’m out food shopping. Although I absolutely loved the smell, it's got to be the Lee Stafford Hair Growth Treatment. I used it like the instructions said and I still didn't notice a difference in my hair. Applying dry shampoo at night. I know most people use this technique regularly but I only just started trying it last week and my hair is already so much more managable in mornings. Conditioning treatments once a week! My hair always feels lush afterwards. Both? I've never tried either so why not! 17. What is your opinion of growth aids? I've tried a few but never really found any I've been impressed with. I'd definitely love to hear of any products that's helped other people though! 18. At what length do you consider hair long? Probably just past the shoulders? 19. When is the last time you visited a salon? Ooh about April last year. I only went because I won a voucher in a raffle! 20. What do you like to surf most often: YouTube channels, personal blogs, or hair forums? Probably blogs as I love reading other peoples experiences and opninions on products. I do watch YouTube every once in a while as well. 21. And finally, what piece of advice would you give to someone just starting out on their hair journey? Experiment a little with products and hairstyles, try and find the ones that work best for you. Follow a few bloggers and read other people's journeys for inspiration! Great tip for the dry shampoo! Disney also gave me unrealistic expectations about hair haha totally expected to have hair like Jasmine as an adult when I was younger! I would always choose health over length as well, healthy hair looks so much prettier! Great tag post to read through :) I love invisibobbles - such a fab little creation! I absolutely despise buns after having to wear it every day for work! And thus, I often sacrifice health for length because 1) I get too busy to cut it and 2) every day buns can be damaging. 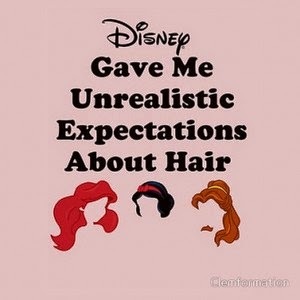 I totally agree with Disney giving me unrealistic expectations about hair. LOL! So true! Great post, I am always on the quest for good hair days. 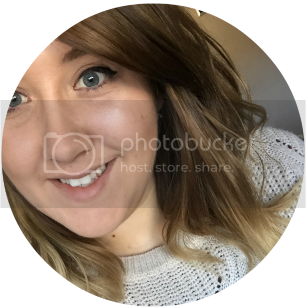 I can't live without Batiste dry shampoo and Elvive full restore 5 conditioner :) I love your blog and I have followed you with Bloglovin. If you ever get a chance to check out my blog I would be delighted, thanks! Hi Natalie Ann, this is my first time on your blog and I must say I am liking it, I'm glad this post is my first read and although it is about hair, it feels like I know you a lot already by just reading your answers. thanks for sharing. I loved this post! I normally go for drugstore brands too for the same reason, so easy to pick them up while doing food shopping! Thanks for sharing this! I feel like my hair is not as healthy as it used to be since I curl it so much. My next mission is to look for a good heat protector!